Koha is one of the best open source projects I know. It’s a very flexible solution, which takes some time to get used to. 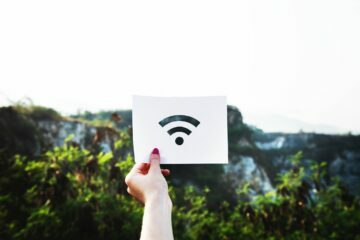 However, we have already worked through most of the points, especially the installation (part 1) and the bibliographic framework (part 2). In the last part we have cataloged some books. 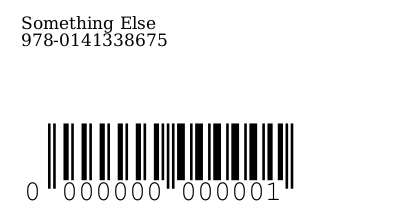 However, before we can start loaning books or other media, each book needs a barcode. We also need to establish rules for borrowing. 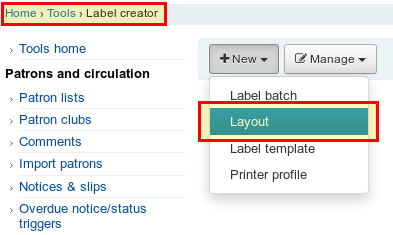 Today we are talking about the label creator. a layout for the label, i.e. what information should be printed on the label? a template of the label sheet, i.e. how many labels are on one sheet? What is the size of the label? 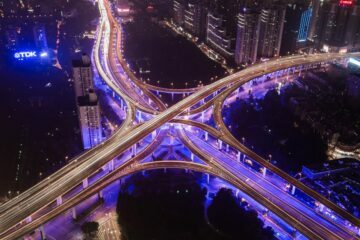 What is the distance? We first create a layout for our label with all the information we want to have later next to the barcode. 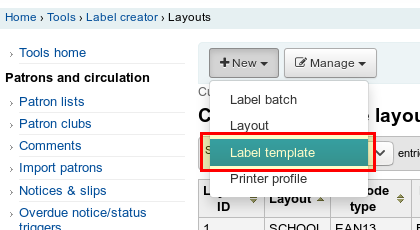 To do this, we go to Tools → Label Creator and create a new template with New → Layout. 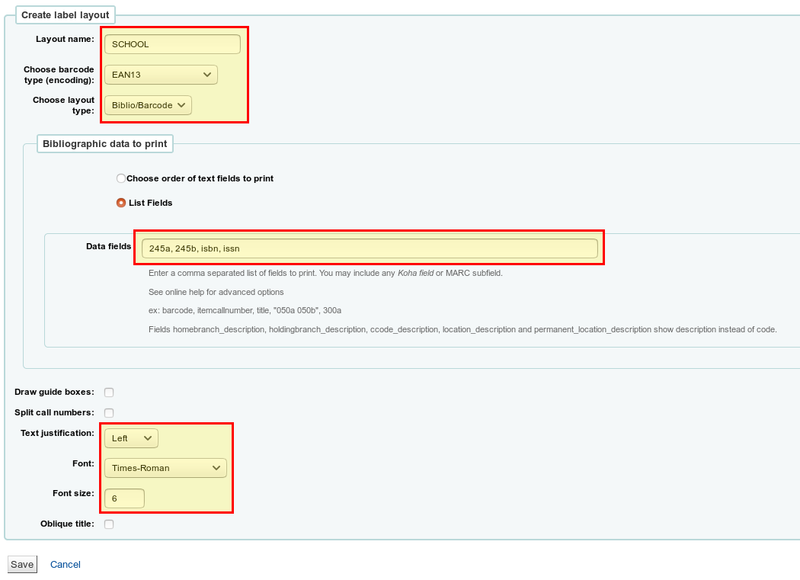 Bibliographic data → Here we select list fields (i.e. 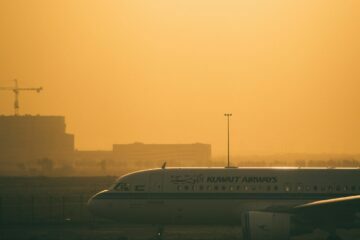 we can enter the Marc21 tags directly). Further down you can specify the font size and type (here you have to experiment a little bit, how you want it to be). At the end we click on Save. Now that we have created our layout for the label, we have to tell Koha what our label sheet looks like. Therefore we create a new template with New → Template. Left page margin → Distance from the left margin to the margin of the first label. Number of columns and rows → How many rows and columns does the sheet have? At the end, click Save again. Now we have prepared everything and can print out our barcodes of the already cataloged media. For this purpose we create a new label batch with New → Label batch. 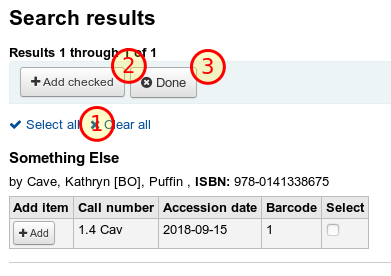 A new input field opens where we can enter our barcodes. 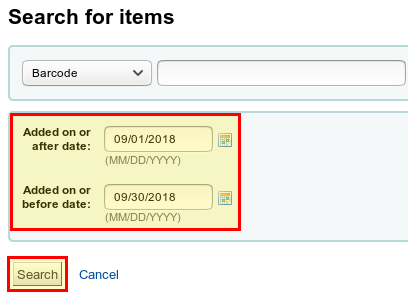 As long as the input field is empty and we click on Add Item(s) below, a new window opens, where we can simply search for the barcodes of our media. Since we want to add all the items, we click Select All above, then Add Checked and finally Done. 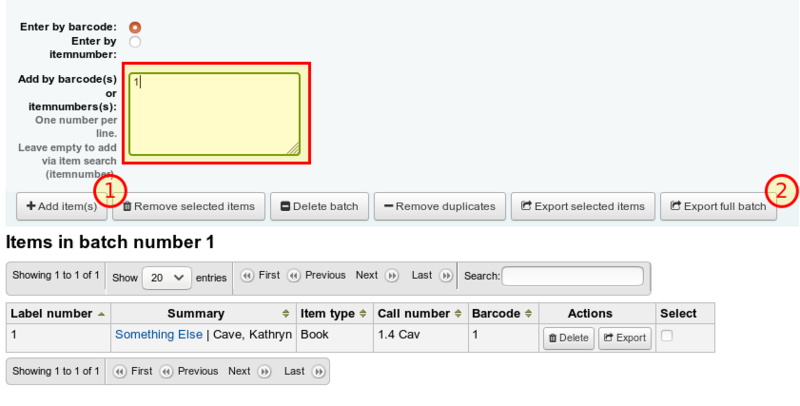 Now all our copies are in the input field and we can add them to our label batch with Add Item(s). 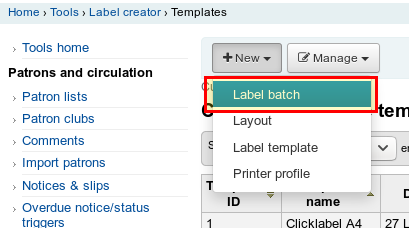 Now we can export all labels in our batch with Export Full Batch and print them. A popup will open. There we select our label layout and the template. In addition, we can also specify the label on the sheet for which the printout is to start later. This is especially practical if you have used label sheets. Finally click on Export and we can then download the print template as a PDF file. Title and ISBN help us to stick the label into the right book later. Koha’s label creator tool is very flexibly adjustable. Once we have created our layout and template, printing the labels later is no longer an obstacle. I recommend in any case some test prints on normal paper, in order to examine the distances and the layout of the labels. In the next part we will continue with the loan conditions. Looking for high quality Open Source Apps for your classroom?